1h 40min. // A trader and his daughter set off in search of the fabled graveyard of the elephants in deepest Africa, only to encounter a wild man raised by apes. WON. National Board of Review, USA 1932. Top Ten Films. NOMINATED. Academy of Science Fiction, Fantasy & Horror Films, USA 2005. Best DVD Collection. 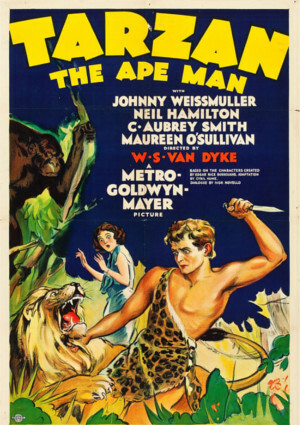 As a part of “The Tarzan Collection Starring Johnny Weissmuller“.